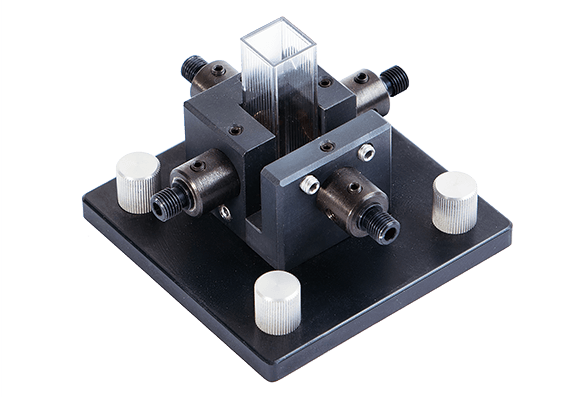 Intended for a standard cuvette* with optical path 1 cm. Performance spectral range 200-2000 nm. Contains 4 collimating lenses and 4 standard SMA-905 connectors. Up to 5 mm thick filter modification option. 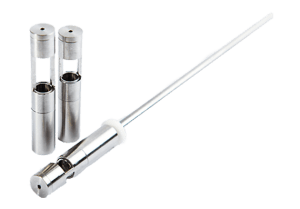 * A cuvette is not supplied with the cuvette holder. Application: for express measurements of absorption in liquids. 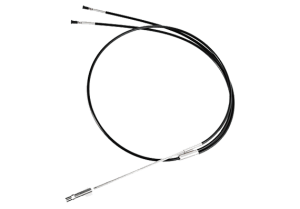 Contains a Y-shaped optical fiber with two SMA-905 connectors and an interchangeable Tip featuring collimating optics and reflecting mirror. Light from one of the fibers enters the Tip, is collimated here, passes twice through the absorbing medium with intermediate reflection from the end mirror, and is focused to the second optical fiber to be further delivered to a spectrometer. Interchangeable Tips DP-5, DP-10, DP-15, DP-20 are completely dismountable. They are consumables. Application: for the fiber-optic probe DipProbe. The tip is completely dismountable. Contains a collimating lens, a reflecting mirror and a liquid-protective ring gasket. Features high efficiency over the whole operation range, including the UV range starting from 200 nm.